You get them too, so I am sure you are as bored as I am with ‘spam’ trading methods coming though your email client on daily (if not hourly) basis. Occasionally, you get a real trader who has created a system they really do believe in. But for the most part they are just trash and need to be put in the…errr….trash. So with out going into full ins and outs of the system here are 3 reason why you should not use this so called’system’. Their charts are so cluttered it is hard to clearly show you but you can see that their entry arrows and exit arrows actually only result in one winning trade compared to the 5 stated. I have tried to highlight the actual entry points with a light pink line. How on earth they expect a trader to think that the entry will be at the beginning of the candle is beyond me given the signal will not be created until end of the bar. I can only think they do not trade and do not understand what they have ‘designed’ or, more likely, they are targeting new traders who do no know either. Don’t be fooled by this. If in doubt always assume entry is at the end of the bar/period. Reason 2 – Indicators that you can download for free. Systems sellers like these use words like “customer indicator”, “million dollar indicator” and “secret indicator”. However, in reality the indicators are nothing new. They show the same information as other indicators and are often are indicators that have just been renamed and you can get for free. And yes, most of them are on this site. In this case, the indicator used could well just be a “Stop and Reverse” indicator, the ATR stop, BB Stop or most likely a Supertrend indicator. If you are paying for indicators which are available for free I would suggest your trading background knowledge may not be deep enough yet to make any serious money trading. Learn all you can from freely available indicators and trading systems and you will soon be able to tell which systems will take all your money. Reason 3 – It is never as simple as taking alternate signals. 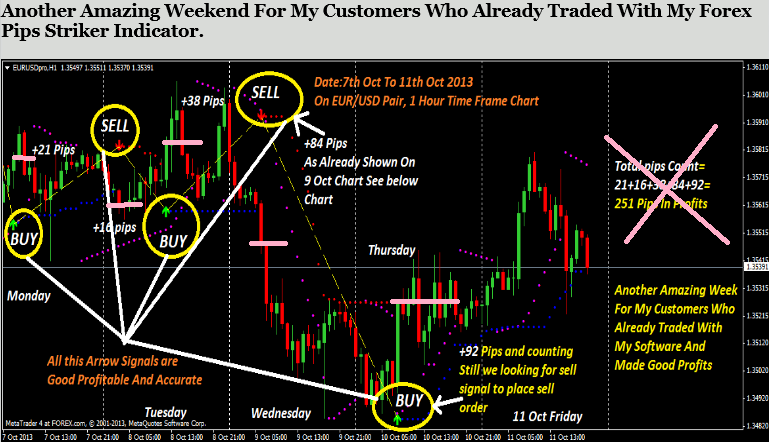 I have never found a system which resulted in a profit where you take every signal, alternating from buy to sell. A system has to be more than entry and exit. This is simply because the numbers do not add up. You need to be able to manage your trades so you have a decent (ideally positive) risk to reward ratio. I have been over it many times before but it is worth saying again. Even in the chart above you can see why taking every signal has resulted in a loss. Some call it getting caught in a ‘sideways’ market but the problems with a system go deeper than that. With out a reason to close out a trade or enter a trade that is different from the other you will be swimming against the tide.